As I mentioned in my last post, a week ago, I went into my daughter's class to write a book with them. 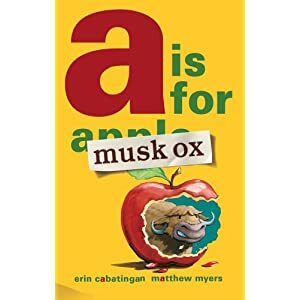 We modeled it after my A is for Musk Ox book. It was unfortunate that the teacher's last name started with A, since "A is for Mrs. Abed's class" makes sense and that's not the way it works in my musk ox book, but we ignored that and started off with "A is for Mrs. Abed's class" anyways. The entire first page read, "A is for Mrs. Abed's class because they are always awesome. Let me show you why..."
It was fun to see what the kids came up with for each letter. Some were fairly plain and predictable, but some were more fun and unusual. My daughter Lucy's says, "S is for Lucy because she's poked sea anemones." She came up with that one herself and was pretty proud of it. After we wrote the book, I took pictures of each of the kids holding up their letter. They were just quick snapshots, and we didn't have a backdrop or much time, so the busy classroom is the backdrop, but they turned out pretty good, all things considered. Now I am in the process of putting the book together. It's taking me a lot longer to do than I thought it would. Because I don't have anything else, I am designing the pages in Power Point. I save them as a jpeg then upload them to Shutterfly. I'm using Shutterfly because my son got a coupon for a free 8x8 book. I'm making an 8x11 book, but it said that I could apply the cost of the 8x8 book to the 8x11 book, so I should hopefully end up paying under $10 for the book. If the coupon doesn't work I'm going to be grumpy. 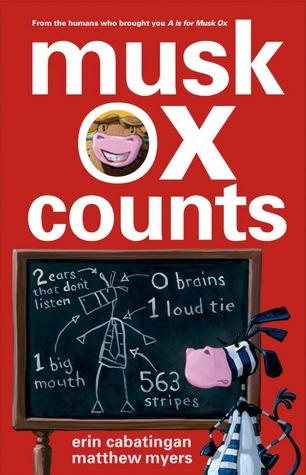 Overall, I think the book writing went fairly well. It was a little long--I wanted it to be under an hour and it turned out to be an hour and a half. Part of that was setting up, but it also took a long time to write the book; I think it took about an hour. The kids actually did pretty good during that hour, but by the time it was time to take the pictures, they were pretty antsy. I think if I do it again, I'll take coloring sheets so they can color while I take pictures of the students one by one. And if I did the presentation somewhere close by, it wouldn't hurt to do the book writing in two sessions. Or maybe break the book writing up some way--write half the book, do another activity, then write the rest of the book, then do the pictures and the coloring sheets. Hmmm...that might not be a bad idea. So that's how my class presentation went. Not bad for my first time. It will be fun to see how the book turns out when I'm done putting it together.